Nowadays digital photography allows anyone that is interested to use the most advanced techniques in this area, that up until not so long ago where only reserved to true image professionals. 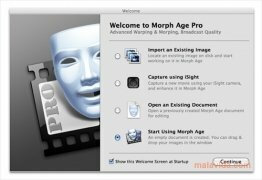 Without having to go so far, Morph Age is an innovating application capable of applying morphing effects and transformations to your images and videos, saving the final result of the sequence in Quick Time format. The morphing technique consists on applying a special effect with which, by means of computers, it is possible to convert the appearance of an object into another by means of a transformation sequence. This technique, based on inflection points, will allow you to play with your own image or that of your friends and search for possible transformations. Apply morphing effects in real time, regardless of the size of the image. Optimized processing engine: use the power of the CPU combined with the GPU or graphic card of your computer. Includes support for the Core Image library of Mac OS X.
Animate deformation curves separately so that each element has autonomous movements. 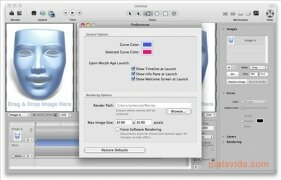 Control the way images mix to obtain unique effects. Work easily using the zoom and scroll functions, observing each pixel, improving the precision and adjusting the transformation lines and avoiding the ghost effect that is typical in this class of program. 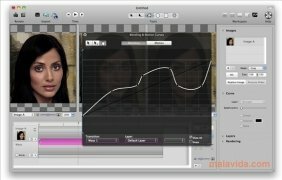 Professional morphing effect for everyone! 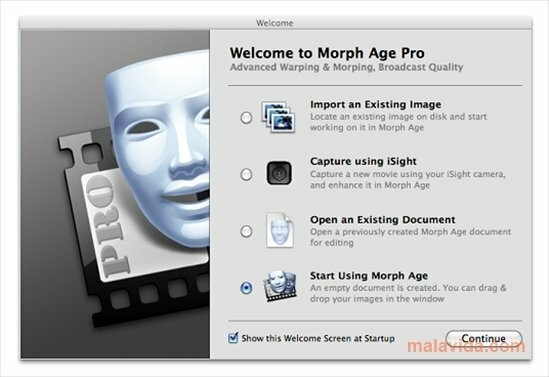 If you like photography and you need to apply effects to your images, Morph Age is perfect. Make your image collection more interesting by applying graphic effects like morphing, with which you will be able to surprise anyone. 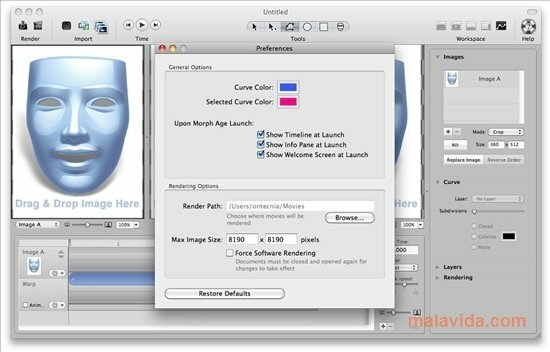 Import a couple of images and play around with Morph Age until you accomplish the desired effect. Manage to create an appealing animation with great special effects from a static photo.